IWTYAL 162: Was this the worst language exchange I ever did? In this episode, I describe a terrible language exchange experience I had this week. Great news! Full transcripts of each podcast are available on the show notes – that's here! Scroll down to find the transcript. Good morning, everybody, and welcome back to the I Will Teach You a Language podcast. Usually I'm pretty happy on the podcast, but not today. Why? Because a couple of days ago, I had the worst language exchange of my life. Today on this episode, I'm going to tell you exactly what happened and what I learned from it. Before we do that, I'd like to make a very important announcement, which is we now have full transcripts for the show, which means that if you would like to read along to everything I say, word for word, you can and it's all there for you. It's free, it's a service I've wanted to provide for a long time. Many of you guys have asked for transcripts, so we now have them, I hope you enjoy. They are only for the new episodes. Unfortunately, we don't have transcripts for previous episodes, but at least all the new episodes will now have transcripts. You can find the transcripts on the website. Go to IWillTeachYouALanguage.com, and then you can click on the podcast tab. Then you're going to find a list of new episodes where you can click into the episode and you'll find the transcript right there on the show page. You can also go directly if I give you a URL. For example, this episode is IWillTeachYouALanguage.com/episode162. Then you'll find the show notes directly there as well. I'm really happy to have this, I hope you are too. I'd like to thank the sponsors of the show as well. Italki of course. 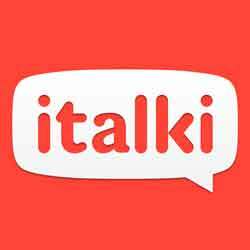 We're talking about language exchanges today, but if you maybe haven't had that much luck with language exchanges and you would like to have professional language lessons, then you can get a free lesson from Italki. You can go to IWillTeachYouALanguage.com/freelesson for that. Now, what happened? A couple of days ago I had – I'm here in Hong Kong, and one of the things that I've been doing is arranging language exchanges. Usually, I don't do language exchanges, because they take up too much time. You've got to travel to meet someone, then you've got to spend time speaking in two languages, and I prefer to take lessons on Italki, that's generally what I do, but because I'm here in Hong Kong, I wanted to go out and meet people and see the city, so I have arranged a few language exchanges, the most recent of which was two days ago. It was a complete disaster. I don't say that lightly. I've done a lot of language exchanges before in my life, it's one of my favorite ways of learning languages, you get to meet people, you get to speak the language, but this one was by all accounts dreadful. So, what happened? I met this person through a very good website called ConversationExchange.com. I've used this for years, it's a great place to meet language partners. So, I met this person and we exchanged messages beforehand. I do what I always advise, which is to get to know the person a bit before you meet, so that you know that they're the kind of person that's likely to be able to help you. I also explained the way that I like to do language exchanges, which is let's do one hour in English and one hour in the language that I'm learning, which in this case is Cantonese. I explained that beforehand and this person said, “Yes, no problem, I understand”. So, the day arrives and I head into Hong Kong to meet this person in a Starbucks. We meet and say hi and introduce ourselves and exchange pleasantries and all that. Then we sit down and get some drinks, and she asked me, “How should we do this?” I said, “Well, like I explained before, I think it would be great if we could spend half the time in English and half the time in Cantonese”, and she said, “Yes, sure. What should we start with?” This was my first mistake. I have a golden rule with language exchanges that I always try to start speaking the language that I'm learning rather than English. The reason being that usually the other person's English is stronger than my foreign language, which means that if we do an hour of English first, by the time it comes time for me to speak my foreign language, I'm pretty tired and we've already established a relationship in English, so it can be a little bit tough to switch out of English into the language. So, I have this rule where I always say, if the other person doesn't mind, let's start with the language that I'm learning, because then we kind of get it out of the way whilst I'm fresh, and usually it's much easier to switch and speak English after that. Because I got a slightly strange vibe, I made a huge mistake of we were already speaking English, so I said we could just carry on speaking English for now, if you like. Mistake number one. So, we did, and this person had a bunch of questions that she wanted to ask. She would kind of tell me about her job and ask, “How do I say this in this situation, how do I say that?”. It was kind of a bit weird, there was a long list of things that she wanted to know how to say in English that she could have Googled, to be honest. I don't know, whatever. I try not to judge at this stage, because people are nervous. In this case, I think she probably had some burning questions she wanted to ask, so I went along. I got a bit tired, because it was just an onslaught of questions that I answered, but again fair enough, whatever she wants to do, the time is hers. So an hour passed, and the questions kept coming. I was trying to politely suggest that, that's it, the English time is up, let's switch now, and she kept going and kept going. My body language probably started to suggest okay, that's enough. After about an hour and a half, she said, “Okay, let's speak Cantonese now”. I was almost asleep by then, I was so tired from this kind of barrage of English questions, but I kind of picked myself up and said, “Okay, sure, yes…We can speak Cantonese now”. So, we did, and we started chatting in Cantonese for maybe five minutes or so, and I knew something was up early on, because she spoke like full on, full speed local slang Cantonese. Didn't slow down, didn't make any concessions to me at all as a learner. I was struggling to keep up, because she was speaking so fast, and I had to ask her to repeat quite a few times, and she didn't kind of take the hint that it might be helpful to slow down slightly, or maybe drop less slang in every other word than she was. It was okay, I kind of pressed on, it was probably good practice. Then after like five minutes, she started switching into English. We were talking about these Japanese lessons that she was taking, and as we were doing that, she started to sort of switch in English. I carried on in Cantonese and brought the conversation back to Cantonese, so she switched back to Cantonese and we kept on talking for a while. Basically, she would just start everything, after like 30 seconds or so, would start to go back to English. After me bringing the conversation back to Cantonese as best I could like five or 10 times, it just got a little bit silly. She must have been aware that I was trying to make the point that hey, this is Cantonese time right now, we should be speaking Cantonese. I even said it at some point, I said, “If you don't mind, we've done a lot of English, it would be great to do some Cantonese now”, and she said, “Okay, yes, no problem”. Again, two minutes later, back to English. So, we carried on this way for I don't know how long, and I just gave up. I just thought, what's the point? I think the only thing I could have done to actually get her to understand that she was doing something that was not really very sporting would have been to basically have a go at her, just stop and say “Hey, this is a language exchange, alright? Stop speaking English”. But I'm not going to do that, because the problem is as soon as you do that, you can't recover from that kind of losing your temper in that way, to then going back and having a nice, congenial conversation and her supporting you in your Cantonese. Once you cross this threshold, you can't then go back and have a nice, friendly conversation. Because I was just so tired from that English onslaught, I'd try my best to keep the conversation in Cantonese and she just wasn't playing along, I basically just sat there and sorted out the rest of the conversation in English. Kind of nodding, starting to look at my watch, and then after a certain point, I said, “Hey, look, I've got to go, I've got something else”, and she said, “Okay, great”. She was like, I think, really happy, actually. Not only had she had like a really good English lesson type thing from me, but she'd basically just spoken English for the last two and a half hours. She was just blissfully unaware of the entire purpose of us being there, despite everything I could have done to make the point, short of actually standing up and shouting at her. So, I got up and I left, and I have to say I was – I felt really depressed after that. It was just a complete and utter waste of time. I thought I've just wasted half my day. I had taken a train for an hour, spent two and a half hours with this person, and now I'm just going to go home, because I cannot be bothered to do anything else. So, I just went home, and that's half the day gone. I felt thoroughly depressed. That's what happened, now let's talk about the context a little bit. You're listening to me now and you're probably screaming at me, “Ollie, you should have said something more”. Or else maybe you're thinking, “Ollie, don't worry, it's just a one off, chin up. Don't worry about it, stay strong and move on to the next one”. I know all this stuff. I feel like I wrote the book on language exchanges. I've blogged about it, I've talked about it on the podcast God knows how many times. I followed the rule book, I did everything right. I had conversations with the person beforehand to make sure they were the right kind of person, explained what I wanted to do, all that stuff. Yet, it just went so badly wrong. I don't know if I should have been so unhappy kind of directly afterwards. Probably not, but sometimes you can't control your emotions, right? You feel up or down. I think for me as well, because I've been in Hong Kong now for two months, there's kind of a lethargy starting to creep in now where I'm kind of starting to feel that it's a bit of an uphill struggle. From the very beginning, I found it extremely hard to get consistent Cantonese practice here. People I hang around with, they just all speak fluent, perfect English, they've grown up with English. People love – even when you try to speak Cantonese, they just always love switching back to English. Fine, that's cool, I don't mind, but after two months of this, I'm just kind of getting a little bit tired I think. So, this particular language exchange experience just was the straw that broke the camel's back I think for me a little bit. So, I wasn't very happy and I posed a message on my Facebook account and I said, “Worst language exchange ever. Thoroughly depressed”. I woke up the next morning and I had like 200 comments from people saying, “Oh, my God, what happened?” That's what happened. It probably doesn't sound so bad to you, but I bet that if you have done language exchanges before, you've been through something similar. Am I right? I'm sure that I'm not the only person to have gone through this. So, if you relate to what I've just talked about, what should we do about it? What should our reaction be? How should we behave when these things happen? I think that if you follow the steps I've talked about in terms of setting up language exchanges properly, then there's not much you can do, really. Short of getting angry with the person, there's nothing you can do. You're dealing with human beings, right? If you're looking for people to help with language practice, you win some, you lose some. Some people are going to be your kind of people, they're going to support you, they're going to be great language partners. Other people are simply not going to be a good fit, like what happened in this case. Although in this case I got a bit upset about it, not upset, but just generally depressed about it for a day, although I did have that reaction, really there's no need to. You've just got to move on. You have to roll the dice. I remember my prime of language exchanges when I was in Japan, when I did loads of different ones, I always said I'd meet 10 people and like two or three people would turn out to be a good fit, and one of them would be amazing. So then that one person I would just meet over and over again. That was how I did things. When I look at my time here in Hong Kong with language exchanges in the round, I've actually had some amazing experiences. On the whole, they've been really positive. Now as it happened the very next day, which was yesterday, I met a friend of mine who's from Hong Kong, but we met in London, she's been in London for 10 years. We met and we went for some coffee and french toast, which is a local Hong Kong delicacy, by the way. She just wanted to chat in Cantonese, actually, I think because she's been in London for 10 years, so she was happy to chat in Cantonese. So for an entire afternoon, we sat and we spoke Cantonese, and I'd never been happier. I had a wonderful time, not only because I got to hang out with my friend, but we just spoke Cantonese the whole afternoon. So, I went from like rock bottom to this huge high from one day to the next. Really, when I look at it like this, that's what language learning is like. You've got the ups and the downs and I think the reason for whatever success that I've had with languages has been because I'm stubborn enough to just keep going anyway. A lot of people, when they have these bad experiences, they get put off. They think that they're not cut out for it, or they're not suitable, it's the wrong language. I don't know, any number of excuses. It's so easy to have this reaction, but really there's only one way to deal with this and that's to keep going, to be positive, and to keep your eyes on the final goal, which is something I feel like I'm approaching in Cantonese now. It's not fluency, I don't consider myself fluent in Cantonese, but I am approaching a point now where my Cantonese is good enough to be a full part of my life that I enjoy and that enriches my life, I can use it in social situations. I don't understand everything, I make mistakes, but it makes my life better. I'm approaching that point now finally, and I feel great about it. That's what I would like you to focus on as well, because it's so important that you do. I hope this has been useful, or at least I hope you can find some solidarity at least in the things that I've spoken about. I'd like to hear your reactions to this. Please go over to the show notes at IWillTeachYouALanguage.com/episode162, and let me know your thoughts. What's the worst language exchange you've ever had? How will you deal with it? Did I do the right thing? I would love to hear from you, I would love to start a conversation on this. At least from the reaction on Facebook, it has generated a lot of interest. So that's it. I'm going to stop right there. Head over to the show notes right now, leave me a comment, let me know what you're thinking, and I'll see you back in the next episode of the podcast. Take care.